• Improve quality. Patients receive the treatment they need when they need it. • Reduce costs. They prevent expensive and avoidable hospitalizations, emergency department visits, and complications, especially for patients with complex chronic conditions. • Improve the patient experience. They provide the personalized comprehensive coordinated care patients want. • Improve staff satisfaction. Their systems and structures help staff work more efficiently. • lack of accountability for patients' overall care as they transition through the continuum of care. In recent years, the need for a "new professionalism" referred to as Transdisciplinary Professionalism (TDP) has been proposed to help meet the challenges facing today's health system.4 TDP may be defined as an approach to create and carry out a shared social contract that ensures multiple health disciplines working in concert are worthy of the trust of patients and the public in order to improve the health of patients and their communities.4 Additionally, TDP recognizes that patients have a corresponding accountability for their own care and can help make their health care experiences safer by becoming active, involved, and informed members of the team. While PCMHs provide a model-of-care template to improve care, TDP involves a set of shared values that all health care disciplines on the team profess collectively to uphold. Through adherence to TDP, it is believed that the team's shared values, including increased accountability (both individually and as a whole) between various disciplines will result in increased quality of care and positive health outcomes. Furthermore, for the team to meet its obligations as part of the "social contract," members of the team regardless of discipline must hold each other accountable for actions and behaviors that would prevent the team from being found worthy of the trust of patients and society. Once there is agreement that the problem exists, a more painful step must occur due to the need for inward evaluation of the current problems. This requires health care teams to acknowledge and take ownership for a failure to adequately meet patient needs related to medication management. • prescribing cascades, polypharmacy, and failure to implement appropriate deprescribing initiatives. Of course, prescribers have significant accountability for these issues. However, pharmacists, along with other health care professionals who have either not pushed back or have not been supported by organizational leadership in demanding improved prescribing behaviors, must also own the problem. Over the years, unprofessional and disruptive behaviors by physicians have often been allowed to continue without repercussion to offenders. Allowing comments such as "If you wanted to be a doctor, then you should have gone to medical school" have not only damaged the integrity of the team, resulting in lower team member effectiveness and satisfaction, but have also allowed diminished patient care. Disruptive behaviors are not limited to physicians alone, as disrespectful relationships also occur between other professionals within the same discipline as well as between disciplines. Additionally, over the years, nonprescribing professionals such as nurses and others have insisted on deflecting their own professional and ethical responsibilities either due to knowledge deficits, ignorance, or fear of repercussion by using the default comment, "The doctor ordered it, so it must be right" when relevant concerns are identified. Once all members of the team acknowledge their roles in improving medication management, then meaningful steps to develop and implement sustainable solutions through transdisciplinary professionalism can take place. Ultimately, TDP results in a meaningful collaborative approach that places the needs of the patient first while also taking steps to help patients become more engaged in their own care. Accountability among all team members for patients' medication can help to minimize many of the current breakdowns that occur as patients transition through settings. Engaging more team members and raising awareness of the implications caused by MRPs greatly expands the ability to improve the health literacy of the public. Patients would be more readily identified as needing additional education offerings, including the use of teach-back methods, which can be provided by multiple team members including nurses, pharmacists, physicians, and others. Increased coordination of care also allows patients' individual needs to be better met, such as referring patients with more complex medication regimens and those with multiple chronic diseases to pharmacists for comprehensive medication management reviews. 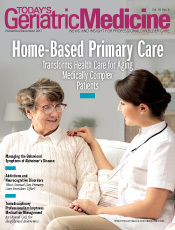 Enhanced communication between providers at the time of discharge from hospitals and other settings for patients returning to the community would also improve adherence and reduce medication errors that commonly occur during transitions, such as missed medications and medications not being appropriately stopped. Additionally, we know that cost concerns reduce patient treatment adherence. Improved coordination helps identify those patients who have specific needs in that vein, so that social workers and pharmacists can work on solutions to improve patient access to services and medications. MRPs unfortunately are common, jeopardize patient care and safety, add tremendous unnecessary cost to the entire health care system, and demand increased attention as a national priority. Health care providers and all health care professionals owe it to patients and society to address MRPs with an adequate level of urgency reflective of the risks posed to patients due to years of medication management neglect. No single health care discipline alone can reverse the widespread issues seen today that are associated with MRPs. A radical change in culture is needed. Transdisciplinary professionalism with shared accountability by all team members to improve all aspects of patient care, including medication management, must become part of the solution. Everyone can do more to improve medication-related outcomes. This includes a shared accountability by health care organizations whose teams provide care to patients. Organizational leadership can best serve patients and ultimately their respective organizations by clearly defining each team member's accountability for appropriate collaboration and taking prompt action when any team member, including physicians, is unwilling to practice collaboratively. Pharmacists, who by definition and training are medication experts, have an even greater obligation surrounding the effort to improve medication management. We must be willing to provide authentic leadership and to increase efforts to help improve knowledge related to medications and acceptable medication-related principles among all members of the care team as well as patients. Offering to provide counseling to patients is insufficient. There must be increased questioning and dialogue with patients to understand their unique needs and perspectives. The failure of pharmacists to lead this effort will jeopardize the respect and trust the pharmacy profession has earned. Ultimately, the failure of all health care team members to change and accept greater responsibility for medication management will result in the lost trust of patients and society. — Mark D. Coggins, PharmD, BCGP, FASCP, is vice president of pharmacy services and medication management for Diversicare, which operates skilled nursing centers in 10 states. He was nationally recognized by the Commission for Certification in Geriatric Pharmacy with the 2010 Excellence in Geriatric Pharmacy Practice Award. 1. Frandsen BR, Joynt KE, Rebitzer JB, Jha AK. Care fragmentation, quality, and costs among chronically ill patients. Am J Manag Care. 2015;21(5):355-362. 2. Shih A, Davis K, Schoenbaum S, Gauthier A, Nuzum R, McCarthy D. Organizing the U.S. health care delivery system for high performance. The Commonwealth Fund website. http://www.commonwealthfund.org/publications/fund-reports/2008/aug/organizing-the-u-s--health-care-delivery-system-for-high-performance. Published August 2008. 3. Edwards ST, Bitton A, Hong J, Landon BE. Patient-centered medical home initiatives expanded in 2009-13: providers, patients, and payment incentives increased. Health Aff (Millwood). 2014;33(10):1823-1831. 4. Global Forum on Innovation in Health Professional Education; Board on Global Health; Institute of Medicine. Establishing Transdisciplinary Professionalism for Improving Health Outcomes: Workshop Summary. Washington, D.C.: National Academies Press; 2014. 6. National Association of Chain Drug Stores. The Chain Pharmacy Industry Profile. National Association of Chain Drug Stores Foundation: 2001. 7. Nowak L. America's pain points. Express Scripts website. http://lab.express-scripts.com/lab/insights/drug-safety-and-abuse/americas-pain-points. Published December 9, 2014. 8. Cipolle RJ, Strand LM, Morley PC. Pharmaceutical Care Practice: The Clinician's Guide. New York, NY: McGraw-Hill Medical; 2004. 9. Johnson JA, Bootman JL. Drug-related morbidity and mortality. A cost-of-illness model. Arch Intern Med. 1995;155(18):1949-1956. 11. Institute of Medicine. Informing the Future: Critical Issues in Health. 4th ed. Washington, D.C.: National Academy of Science; 2007.